Our mission consists of three principles that together we feel can change the world one Damsel at a time. Equip women with products that can protect them! Most women have never held a stun gun and can’t tell you where to find one to see, hold and purchase. We are changing that! Empower women to protect themselves! We hear from customers time and again that having an item in their hand while walking to their car in a dark parking lot makes them feel safer. It is not a false sense of security, it is knowing that they are better off carrying a deterrent than they would be empty-handed. Educate women by encouraging them to back up their purchases with self-defense training. Our relationships with our customers and our fight to lower the national statistics of assaults against women do not end at the time of purchase. personal protection products or not. 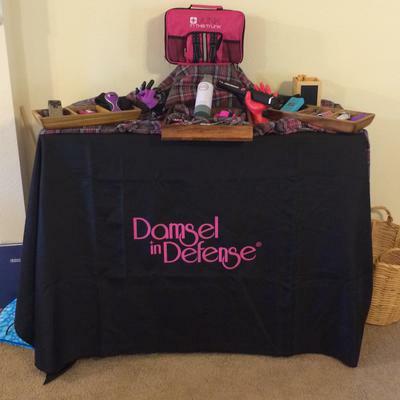 Damsel in Defense offers a product line that runs alongside an emotionally charged topic. Because of this we understand that we may not always have a fan in every person we come across. We pride ourselves on continuously staying educated and informed on the most current information. There are some that believe that self-defense should be down and dirty and not be wrapped up in a pink package. We disagree. Unfortunately, women are intimidated enough by personal protection products. It takes a lot for a timid woman to fire a stun gun. Damsel in Defense prides itself on making women feel more comfortable about arming themselves. Where else is a woman more comfortable than surrounded by friends at a party in her own home? Now we can offer her one of our wonderful Damsel Pros to bring them directly to her. The reality is that we are bringing self-defense tools into homes of women who would have otherwise never purchased a product of this nature. They were just too intimidated to walk into a cop shop and worried that they may be viewed as paranoid by their peers. NOT ANYMORE.